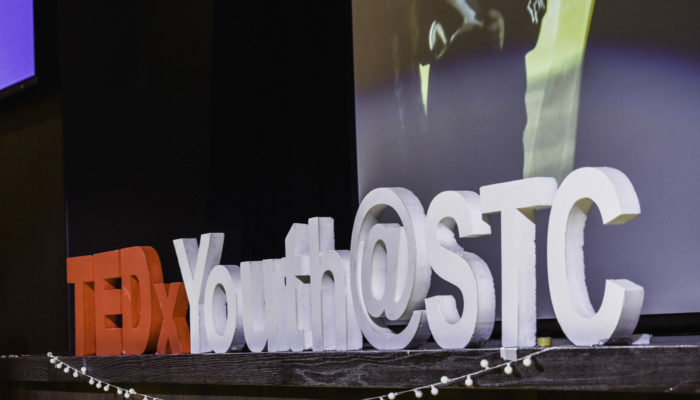 TEDx has always been a platform that allows students of diverse perspectives to come together and express their ideas, and this year’s six-hour event on April 2nd (hosted in our school hall for the first time) was no exception. Themed “Epiphany”, the featured speakers shared everything from one brother’s moving acceptance of another (Clement, Year 8) to philosophical musings on the purpose of life (Brenton Lin, Year 13). Some of the ideas presented, as noted by our principal, Ms Larkin, were not only “thought-provoking”, but also potentially life-changing. 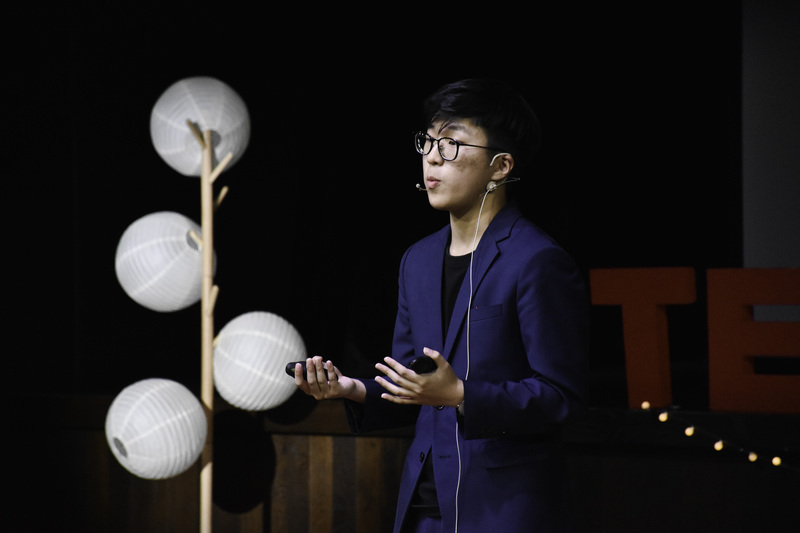 Reese Wong ,11P1, speaking at TEDx. Photo by Quincy Leung 10X1. “I enjoyed listening and found plenty of useful advice,” commented Meredith Lim, 10X2, a member of the audience. “It was just a really enjoyable experience.” Indeed, the enthusiasm of the speakers, engagement of the audience, and efficiency of the transitions illustrated the professionalism of the event. Furthermore, the resemblance to the original TED talks grows with every passing year. 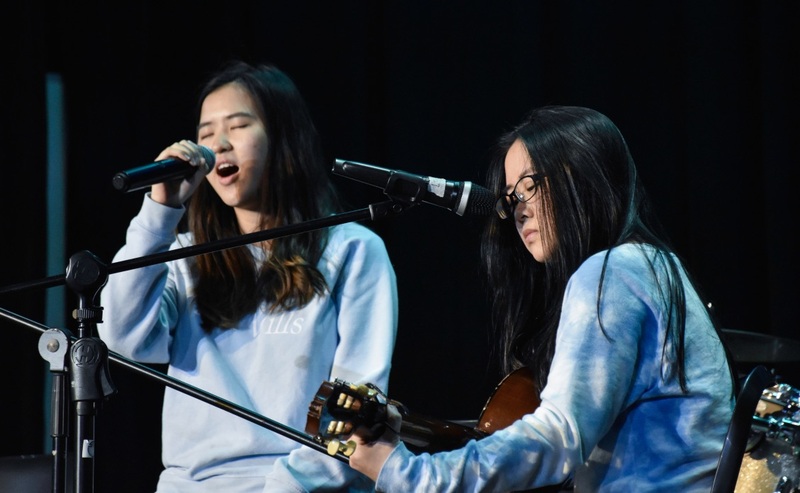 Tiffany Yu (12G2) and Emily Wong (12G2) performing music. Photo by Quincy Leung 10X1. Adding to the flavour of the evening, the event was also graced by a wonderful display of musical talent by our performers. In addition, the speakers – comprised of both student and guests – added greatly to the appeal of the event. “It was a great opportunity to exercise my public-speaking skills but also to help the community around me,” reflected Evan Yang, 10X2, one of the speakers. As such, this year’s TEDx event was a credit to Sha Tin College, demonstrating the proliferation of perspectives we pride ourselves on. 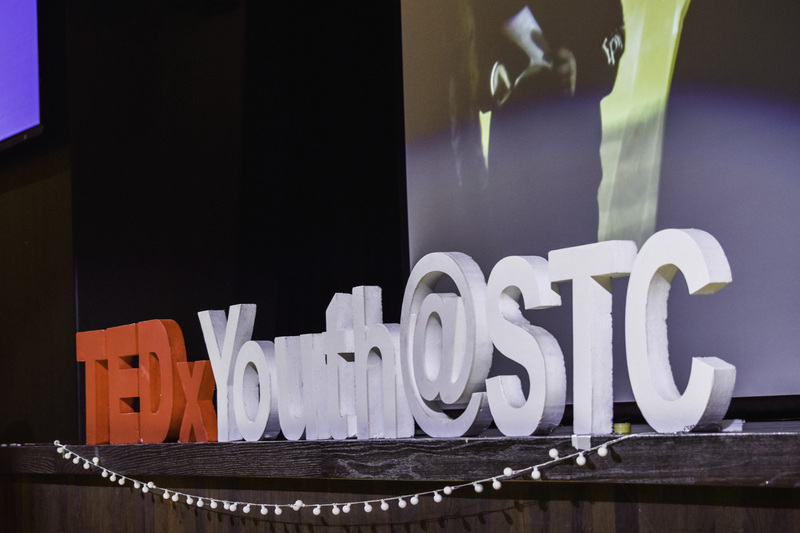 To relive it, the videos of the full event can be found on Facebook at this link: https://www.facebook.com/TEDxYouthSTC/.